2/1 E-Newsletter: Eyes on Court, Life Marches Overflow, Ben Watson, Pulse, and More! We Showed Our Love for Life in January! As I was at our in-state Life March events and felt the palpable energy for life, I couldn't help but remember the video showing people in NY applauding the passage of their new law ensuring babies could be aborted right up until birth. How could people living in the same nation have such different perspectives? 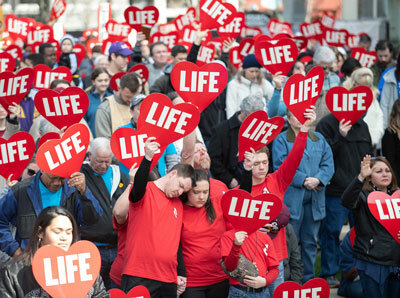 We show our love for life, and they show their support of destroying it. It's hard to believe we have come to this point. This all makes me think of that old saying, "The darkest hour is just before the dawn." I think it is no surprise that the abortion industry is panicking and locking down its fortresses. States like Louisiana are making progress to bring an end to abortion! Louisiana's own state Rep. Katrina Jackson gave a POWERFUL talk at the National March for Life. All our marches have been powerful this year, but, WOW, Monroe's first-ever Life March blew me away! Watch this amazing time lapse video showing 3,000+ in attendance. Our young people again brought energy to D.C., especially at our annual Geaux Forth event. Check out these great photos of the Preaux Life generation! P.S. 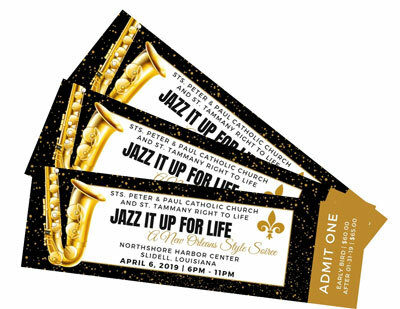 Our Life March Cenla is this Saturday! Meet before 10 AM at Louisiana College in Pineville. The U.S. Supreme Court is set to decide in the coming days whether it will grant an emergency stay and at least temporarily delay the state from enforcing Louisiana 2014 Act 620, which requires abortion physicians to have admitting privileges at a local hospital. 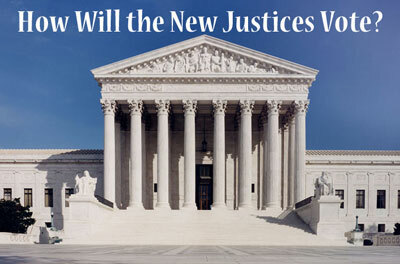 The abortion facilities will need at least five of the nine justices to agree with them to stay the enforcement of the law. All eyes are on newly appointed Justices Gorsuch and Kavanaugh. Four Louisiana Life March events are in the books, and crowds at each were record setting! More than 13,000 people have already shown their love of life, and several thousand more are expected to participate in the final Life March of 2019 in Central Louisiana tomorrow! Louisiana Life March Cenla is Saturday beginning at 9:45 a.m. at Louisiana College in Pineville and concludes at the amphitheatre on the riverfront in Alexandria. 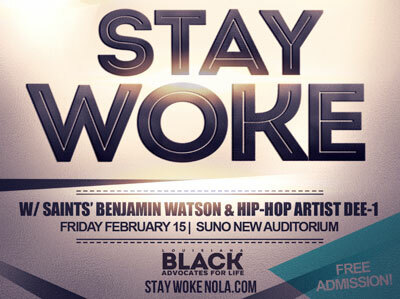 Join New Orleans Saint Benjamin Watson and national recording hip-hop artist Dee-1 at STAY WOKE Nola on Friday, Feb. 15 at the SUNO Auditorium in New Orleans. This inspiring evening is sponsored by Louisiana Black Advocates for Life. Families and church groups are urged to attend this free event! 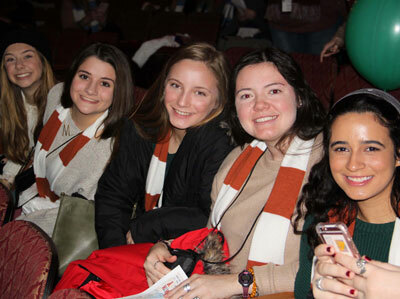 1,300 high school students, as well as a large contingent of college students from several areas of Louisiana, attended the annual Geaux Forth rally in Washington, D.C. in January. There was music, inspiring testimonies, calls-to-activism, and motivation to get them ready for the March for Life, which was held the next day. 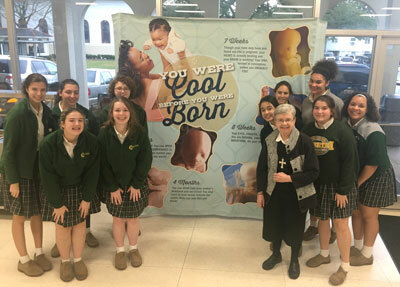 Just like Cabrini High School did recently, you can display our "Cool Before You Were Born" banner in your school cafeteria, hall, or classroom or at your church or community function and remind everyone who sees it to always uphold the dignity of even the smallest human life. The banner features clear pictures of fetal development and unique facts about the stages. 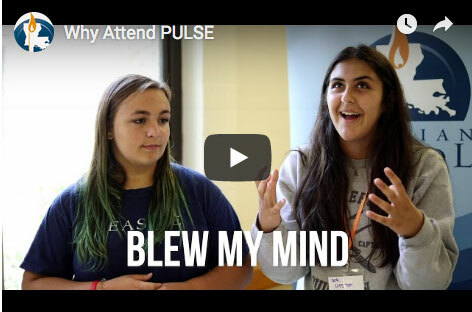 The first PULSE Weekend Immersion of the new year is coming up soon! The Southeast Louisiana event is set for Feb. 22-24 at Camp Istrouma near Baton Rouge. Students, don't miss this opportunity to grow in pro-life knowledge and persuasion skills, discuss effective activism, hear testimonies, meet other pro-life teens and more! Register now! 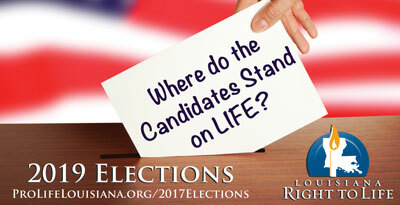 Special elections will be held Feb. 23 to fill seven vacant seats in the Louisiana House of Representatives, and we are dedicated to informing voters on where the candidates stand on life issues. We've sent candidate questionnaires to each of the candidates; if you know or see any of the folks, please ask them how they answered the LARTL questionnaire.